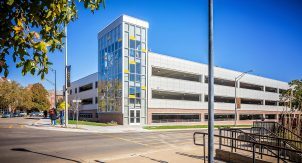 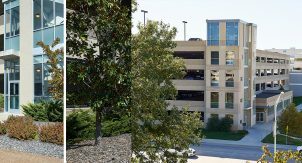 The 1,182 space parking structure is connected at each level to a 20,000 square foot office tower by a shared stair/elevator tower. 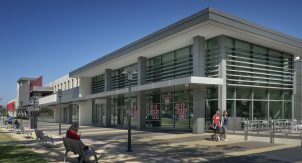 Retail spaces, such as coffee and sandwich shops, are located at grade with an outside area containing tables and seating. 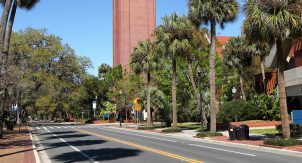 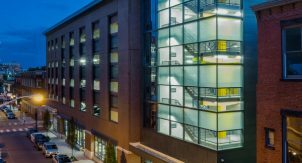 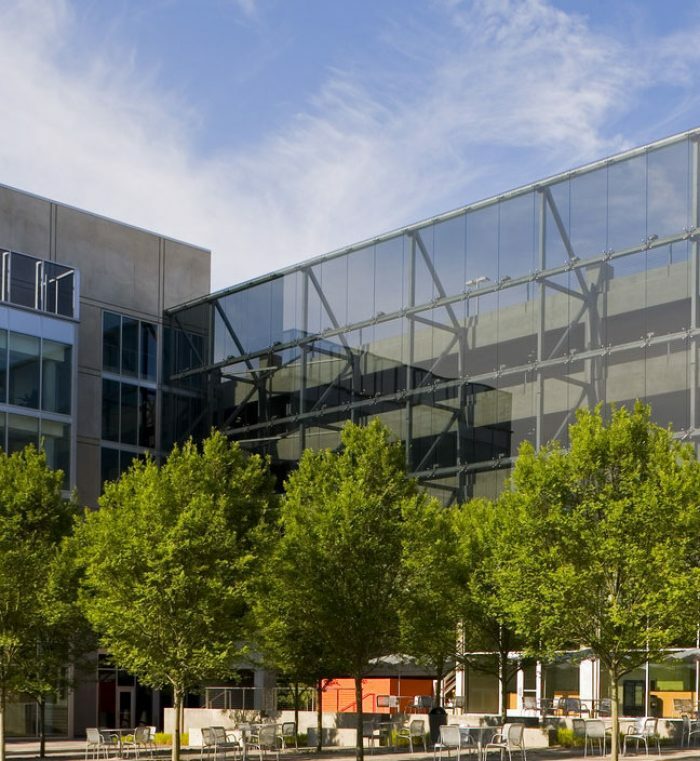 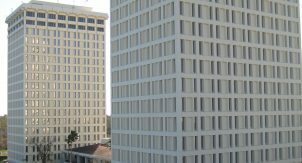 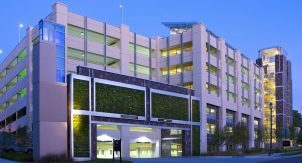 The parking structure and tower have earned a LEED® Gold Certification. 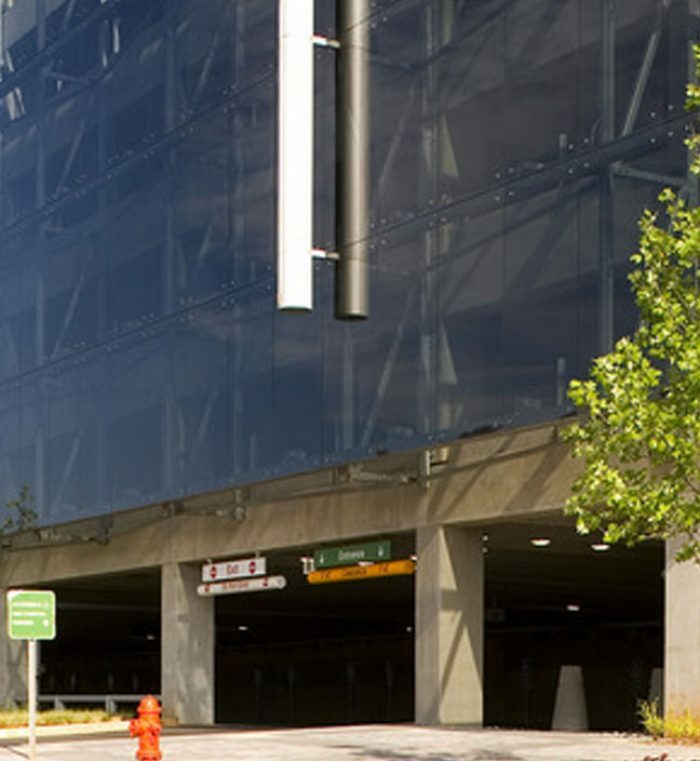 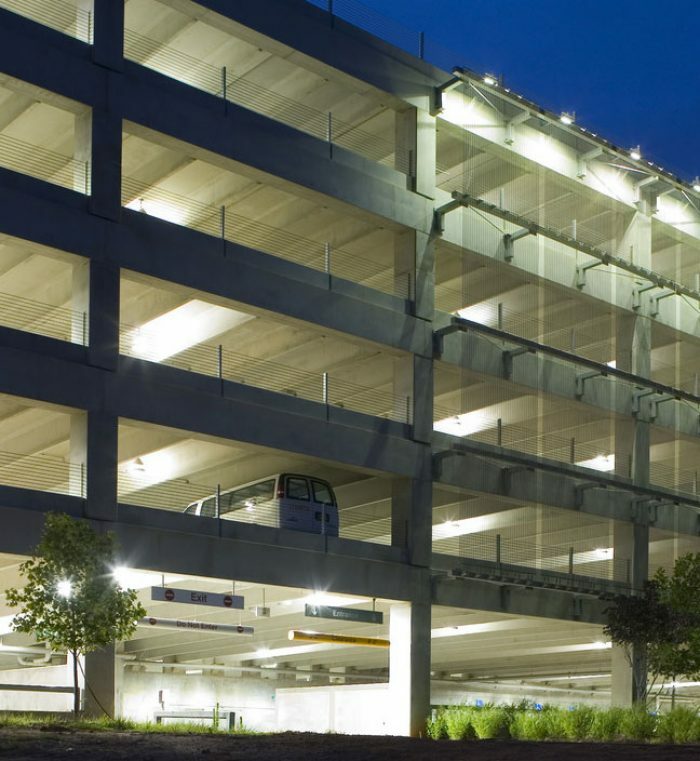 The parking structure was designed with translucent glass walls on which graphics can be projected. 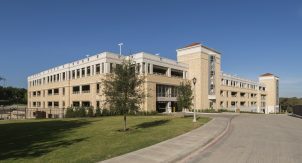 The glass facades blend with the architecture of the adjacent buildings while still allowing the cars to remain visible. 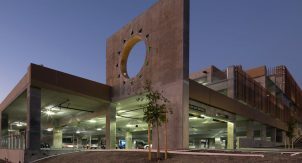 In keeping with the “green design”, the parking structure contains dedicated spaces for car pooling, bicycles, and motorcycles on the grade level. 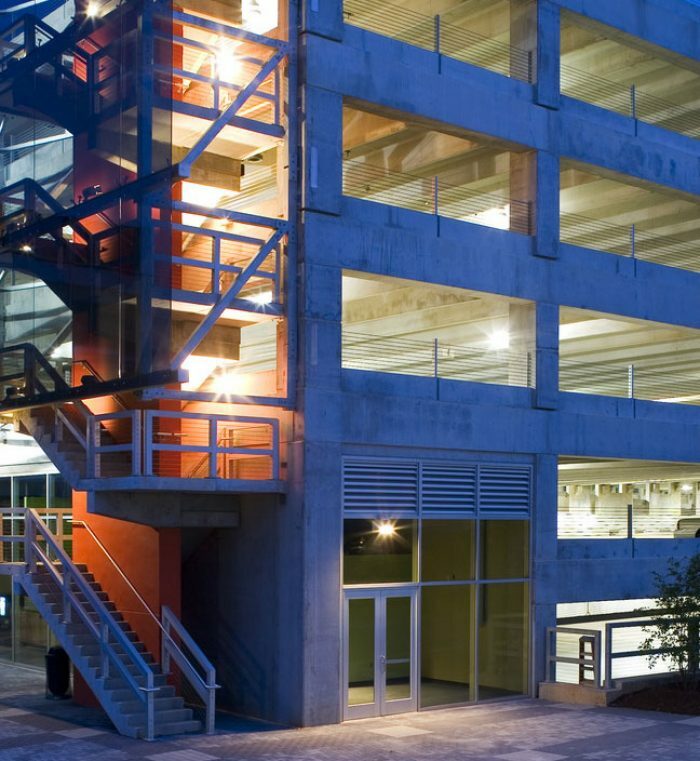 Innovation Place & AutoPark is located at the core of Clemson University-ICAR’s new Technology Neighborhood. 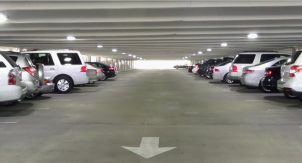 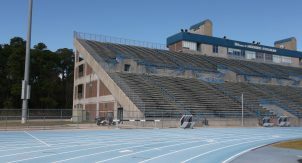 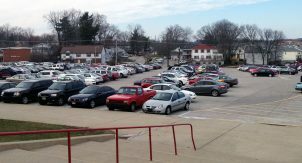 The project includes the CU-ICAR partnership offices, Carolina First Art Gallery, St. Francis VRUM Fitness Center, and the adjacent AutoPark. 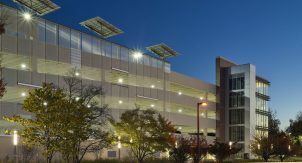 The CU-ICAR Innovation Place & AutoPark is the first LEED-NC Gold certified state-funded project in South Carolina. 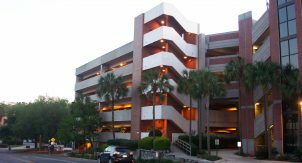 Received a Special Citation for Design Excellence from the South Carolina Chapter of AIA in 2009.